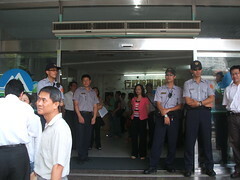 On Friday 30 June, voices of fury, sadness and deep disappointment resounded in the halls of the Environmental Protection Administration (EPA) headquarters as news filtered out that the EIA review committee had voted ten to eight in favor of a hi tech development in Houli (后里), Taichung County. Houli residents, who had made the trip to Taipei to voice their protest, spoke quietly of their dismay, while two commissioners announced their resignation and others emerged from the conference room to complain bitterly of procedural lapses that had led to this result, declaring the death of Taiwan’s EIA system. 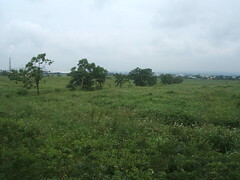 The proposed development is an expansion of the Central Taiwan Science Park (中部科學工業區) into Ci-sing Farm (七星農場), a rolling meadow in the south of the town, owned by Taiwan Sugar Corporation (台灣糖業公司) and rented out along the periphery to a few small-scale vegetable and honey farmers. In recent years, the town has made a successful transition from simple agricultural production to becoming an agricultural distribution center with buyers located throughout the country. 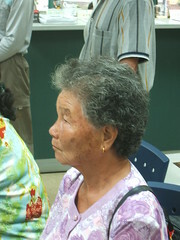 However, after the approval in February of a development for semiconductor facilities at Houli Farm in the north of the town, which was followed quickly by the initial review for the second part of the Science Park development at Ci-sing, residents began to hold meetings to discuss the potential health, environmental and social effects of the industry that threatened to transform their town. Residents fear that tourism in Houli will be affected by the Science Park construction on Ci-sing Farm. But according to Professor Kuo Hong-yu (郭鴻裕), an agricultural scientist on the EIA review committee and a former resident of Houli, by far the most serious threat to residents will be the pollution. Already encircled by a steel plant, an incinerator and a paper mill, Houli would now be faced with a new set of pollutants, including at least 911 tons a year of volatile organic compounds (VOCs) from the Ci-sing plant alone, as well as endocrine disruptors from the Houli semiconductor plant. But it is not only local farmers who do not understand the nature of chemicals used in the semiconductor and LCD industries; their effects are only starting to be understood by scientists. Studies sponsored by the American Chemistry Council (ACC) include over 11 years of research into simply developing the means to identify which substances may be endocrine disrupters. This term refers to a wide range of substances that may be assimilated by the body and emit false biochemical signals, interfering with the endocrine system, a series of glands and hormones that regulate reproductive and developmental functions in mammals, birds, fish and invertebrates. In Taiwan, it is believed that endocrine disruptors discharged from hi tech factories in Hsin-chu Science Park (竹科) have caused oysters in downstream areas to become hermaphroditic. VOCs are chemicals that contain carbon and evaporate easily at room temperature, such as xylene, which is used in semiconductor manufacture. They are known to cause health effects ranging from headaches and eye irritation to damage to the liver, kidney and central nervous system. Toluene, which is used in semiconductor manufacture, is categorized both as a VOC and an endocrine disruptor, while Naphthoquinone diazide derivative, a suspected endocrine disruptor, is to be used in the Ci-sing LCD plant. “Heavy metals are bad enough,” says Kuo, "but once you start talking about endocrine disruptors, that’s when things get really complicated. They’re so little-understood, and extremely difficult to detect.” This, he says, is reflected in the absence of these substances from the EPA’s pollutant list, which provides reference concentrations for recognized harmful substances, but not for those for which methods of detection and toxicology research lag far behind their innovation. Material safety data sheets included in the EIA literature demonstrate that even the manufacturers of chemicals to be used in the Ci-sing plant have very little knowledge of the health and environmental effects of their products. 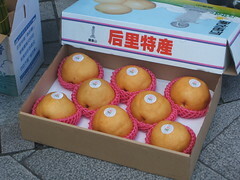 For a substance produced in Japan by Chisso Corporation, called “LIXON ZAU-5026LB” or simply “Liquid Crystal” (the actual chemical name is a trade secret), the toxicology report reads “no data available” for each of the listed items, including carcinogenicity, reproductive toxicity and mutagenecity1. The same is reported for the ecotoxicity2 and environmental fate3 of Liquid Crystal, although it is stated that the substance is neither degradable nor biodegradable, and “may persist for long-term if released into the environment”. Another substance, “World Rock No.711L”, also made in Japan, is known to produce hazardous NOx4 and CO5 on combustion, but again there is no toxicology data available, and the most definitive ecological data provided reads: “can have adverse effects on ecological systems in concentrations”. A no-nonsense disclaimer states that the makers “do not assume any responsibility for any use of this material,” leaving the responsibility for any negative consequences of use, whether right or wrong, firmly in the hands of the even more ignorant LCD manufacturer. As is the case with so many new scientific developments, the time lag between the creation of a substance and the establishment of adequate health and safety measures is an inherent aspect of the LCD industry, which has a particularly short lifecycle for new products. Research and development of new LCD panels for ever-larger computer and television screens sets a rapid pace for manufacturing companies based in Taiwan, Japan and South Korea, with each graduation from one generation of LCD panel to the next taking only about two years, an impossible speed for scientists monitoring the effects of the resulting pollutants on organisms. Yet manufacturers insist that the industry cannot afford to pause for introspection and precaution. The attraction of the Central Taiwan Science Park to LCD companies lies to a great extent in the swiftness of the Park’s construction, an important factor to such a “time-sensitive” industry, according to Lee Kun-yao (李焜耀), Chairman of AU Optronics (友達光電). AU Optronics is also the sole company on whose behalf the Science Park authorities applied for development rights to Ci-sing Farm. “There’s no time to waste in getting started on construction of the Ci-sing plant,” urged a representative for AU Optronics at the fourth EIA subcommittee meeting. The developers called for a swift start to construction, citing harsh competition with other LCD-producing countries, and the threat of Taiwan losing its recently-won lead over South Korea in production of large-size LCD panels. 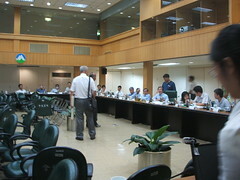 Altogether five meetings of the EIA subcommittee were held in March and June, leaving a trail of unresolved questions from commissioners, while AU Optronics and Park representatives repeated their calls to save Taiwan from losing its competitive edge in the industry, citing also the economic benefits that the new plant would bring to Taiwan. However, the developer’s prediction of an output value of NTD 10 trillion (USD 310 billion) in fifteen years was challenged repeatedly by commissioners, as well as Legislator Lai Shin-yuan (賴幸媛). The LCD manufacturing industry was not nearly as financially beneficial to Taiwan as the developers claimed, Lai noted, citing examples of LCD companies in Taiwan that were either loss-making or barely breaking even. 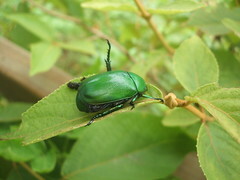 According to Wild at Heart researcher Susan Chen (陳素姍), the huge profits predicted by developers hide the reality of this resource intensive industry, which requires continuous reinvestment in new technology in order to keep up with new developments, and relies on considerable amounts of government subsidies and tax breaks. Commissioner Li Gen-jheng (李根政) questioned how it could be guaranteed that the plant would even last fifteen years in such a fast-changing industry, and whether AU Optronics should agree to repay the government for the huge amount of public spending on the Science Park infrastructure. Meanwhile, commissioner Robin Winkler (文魯彬) challenged the developer’s suggestion that this was a form of “sustainable” development. 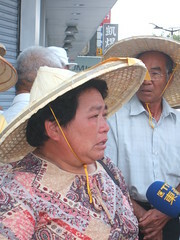 Commissioner Gloria Hsu (徐光蓉 ), a professor of atmospheric science at Taiwan National University (台大), argued that no development proposed by the Science Park Provisional Office, an agency under the government’s National Science Council, should benefit such a small minority, contributing to the imbalance in wealth distribution and neglecting to include such social costs as government spending on the Park facilities, utility subsidies and wastewater treatment costs. And there is no doubt about the high levels of water pollution that will occur in Houli and beyond if AU Optronics builds its plant. The company intends initially to discharge effluent directly into Niou-chou Ditch (牛稠坑), which runs through farmland in Houli. However, developers have refused to guarantee that this effluent will be treated to agricultural use standards, only promising to meet industrial effluent standards. And this pollution will by no means be contained in Ci-sing. 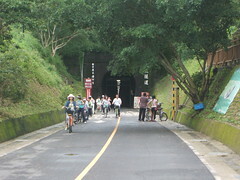 Niou-chou Ditch will channel effluent directly to the Dajia River (大甲溪), the third largest river in Taiwan, which passes through several towns and villages beyond Houli, and then out to sea. Once wastewater infrastructure is completed, which is expected to take longer than construction of the plant, pipes will redirect the effluent to the Daan River (大安溪), which passes through towns in Taichung and Miaoli Counties. 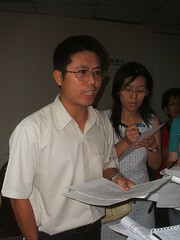 After the announcement of the EIA approval on Friday, Commissioner Li Gen-jheng (李根政) spoke to media about the consequences for these major water systems, warning that the pollution would kill life in the river and on the west coast, and endanger public health, likening the results to those already witnessed downstream of the Hsin-chu Science Park, the seriousness of which he said was still not reported by media due to pressure from powerful groups with interests in the Park. Ironically, it is also because of Taichung’s clean and relatively stable water supply that hi-tech companies prefer this area, rather than expanding their facilities within older science parks, where water shortages can interrupt production. 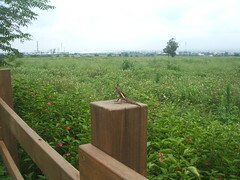 However, as has been seen in Hsin-chu, science parks can often take priority over municipal and agricultural water supplies when stocks are low. National and county government water authorities insist that the Ci-sing development will have negligible effects on agricultural water supplies, but numerous commissioners have responded to this with deep suspicion, demanding more information on how water will be allocated during dry periods. The willingness of government agencies to accommodate industrial developers, although not in the least unusual with EIA reviews, has caused outrage among commissioners reviewing the Ci-sing case. The Water Resources Agency of the Ministry of Economic Affairs gave consistently short, optimistic responses to commissioners’ concerns, stating simply that satisfactory detail had been supplied by the developers regarding water supplies and effects on agriculture. Taichung County Government claimed that it would supervise pollution in the area, and trusted that the dual results of economic development and environmental conservation would be achieved. 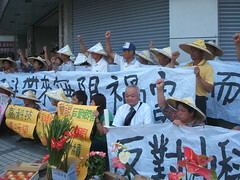 Meanwhile, Taichung’s Environmental Protection Bureau promised to force other businesses in the county to collectively reduce their VOC emissions by 411 tons a year in order to allow AU Optronics to emit this volume (in addition to 500 tons of “spare” emissions borrowed from Science Park companies located in Taichung City). And in the final meeting on 30 June, it was the unanimous support of five government representatives, none of whom had attended a single subcommittee meeting, that swung the vote in favor of the project. To many people, the greatest concern with LCDs may simply remain the question of whether or not to buy the latest laptop or the largest-screened television, while hi tech fairs such as Computex, held in Taipei earlier in June, will continue to boast of impressive output values and market shares for next-generation technology. 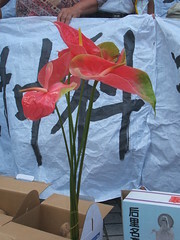 However, it is a different kind of generation that Houli residents worry about. 1The capacity to induce mutations. 2Indicates impacts on all species in terrestrial, freshwater and marine ecosystems. 3Environmental fate provides an indication of what happens to a chemical once it enters the environment, as well as likely exposure levels for non-target organisms. Evaluation of the data makes it possible to determine the behaviour of a chemical in soil, water and air, the potential for its uptake by plants or animals, and the potential for bioaccumulation in organisms (adapted from Pest Management Regulatory Agency, Health Canada). TAIC toxic pollution disaster: some compensation….